“I often feel like saying, when I hear the question ‘People aren’t ready,’ that it’s like telling a person who is trying to swim, ‘Don’t jump in that water until you learn how to swim.’ When actually you will never learn how to swim until you get in the water.” – Martin Luther King, Jr. There are more than 18,000 pedestrians who use Washington Street on a daily basis. The sheer number makes it more likely that a pedestrian will encounter a cyclist who uses the sidewalk for safety against vehicles on the road. As Hoboken residents, this reality prompted us to promote a Washington Street redesign that includes protected bike lanes that are: off the sidewalk, next to the curb, off the road, and protected by parked cars. Hoboken is a unique city, with an identity of being a walkable city, and it has a different dynamic than New York City. Although they are different, NYC and Hoboken share common challenges: heavy traffic and scarce parking space. The best way to find solutions is to learn from similar cases, and that is why the protected bike lane is so important: it has been implemented and proven to work in NYC and around the world. Let’s look into how protected bike lanes on Hoboken’s Washington Street makes sense. When New York and Washington D.C. installed protected bike lanes, it led to a dramatic decrease of bikes on sidewalks by 57% on average, according to New York City’s Department of Transportation findings. This means there are fewer instances of bicyclists bumping into pedestrians that caused injury to both parties. In fact, New York’s 9th Avenue reported 29% less injuries to pedestrians and 57% less injuries to bicyclists after having the bike lanes installed. The installation of protected bike lanes on Washington Street is one of the best solutions to keep our streets safe enough for an 8-year-old cyclist and an 80-year-old pedestrian. More cyclists on the street mean fewer fellow drivers on the road. 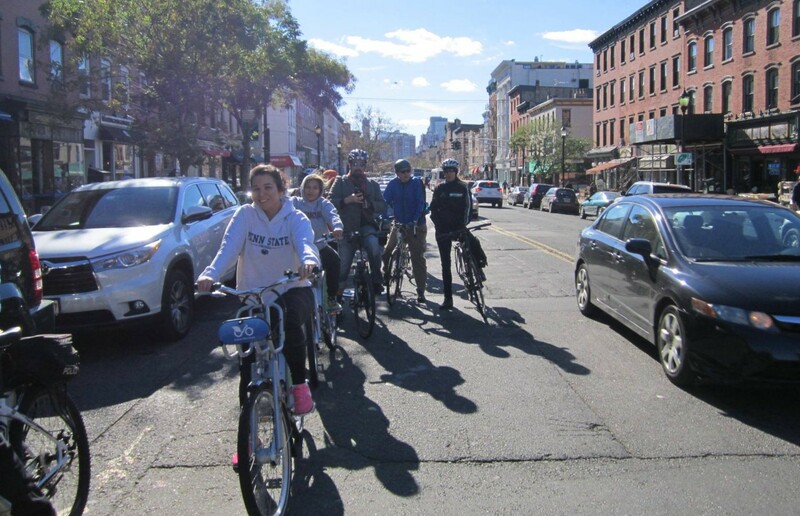 Bike lanes encourage the people of Hoboken to choose bicycles as their main method of transportation when moving around the city. This is ideal as 56% of the workforce in Hoboken prefers public transportation. Using bicycles is a faster and cheaper way to get to public transportation, and lowers the dependency on taxis and car services like Uber. Remember, every person you see riding a bicycle means there’s one more parking space and more road space for you. A person on a bicycle is better than having that same person on the road in front of you, or taking your parking space, adding up to the traffic congestion and parking challenge. 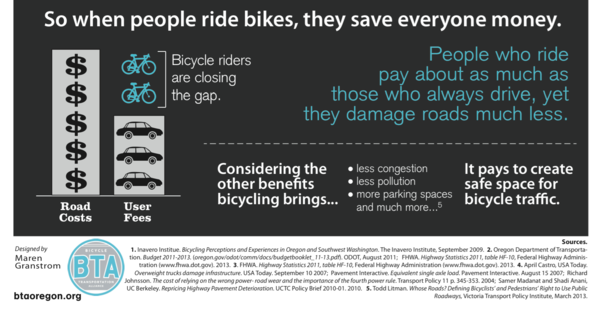 If all these benefits can come from one person riding a bicycle, imagine the impact that 100 or more people can make. Bike Lanes boost the sales of local businesses. New York City’s Department of Transportation reported that its protected bike lanes on 9th Avenue gave a 49% boost in retail sales over other streets in the borough which only generated an average of 3%. 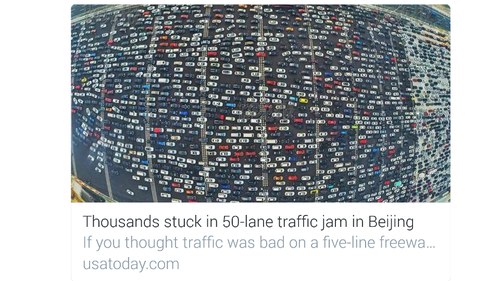 This should come as no surprise since people with cars have the opportunity to shop big, while people on bicycles shop small and without having to look for parking. Cyclists help increase the sales of local businesses, and more so upon installation of protected bike lanes as it makes using a bicycle safer and more convenient. Protected bike lanes will inevitably stimulate the local economy of Hoboken’s Washington Street. The proposal of having protected bike lanes on Washington Street is about ‪people having equal rights to the street. Together, we can give people more options to move around the city safely while avoiding traffic. The streets are for people, and we are working so that everyone has a choice: to drive, ride a bicycle, walk or use public transportation.